Year 9 students have spent time working with Year 1 students this week, performing a short stage version of Senior School Teacher Jamie O’Dowd’s soon to be published Children’s book, Uggy and Pal: The Best Friend Forever Problem. The story looks at how friendships can be affected by unkind or rough behaviour and is aimed at Key Stage 1 children. The book was written with support from Year 1 students and Head of Year, Richard Evans. It’s a slightly different concept to traditional stories.’ explained Jamie. ‘At each stage of the problem the readers are given questions to explore as to how they might respond in the same situation and also Drama scenarios to allow the young reader to act out possible resolutions. It is a technique known as forum theatre.’ Nadeem Benkhadra from 9C played the role of Uggy and said, ‘It’s been a great experience. To take a simple story from a book and transform into a play and an Enrichment lesson has been a really interesting project. 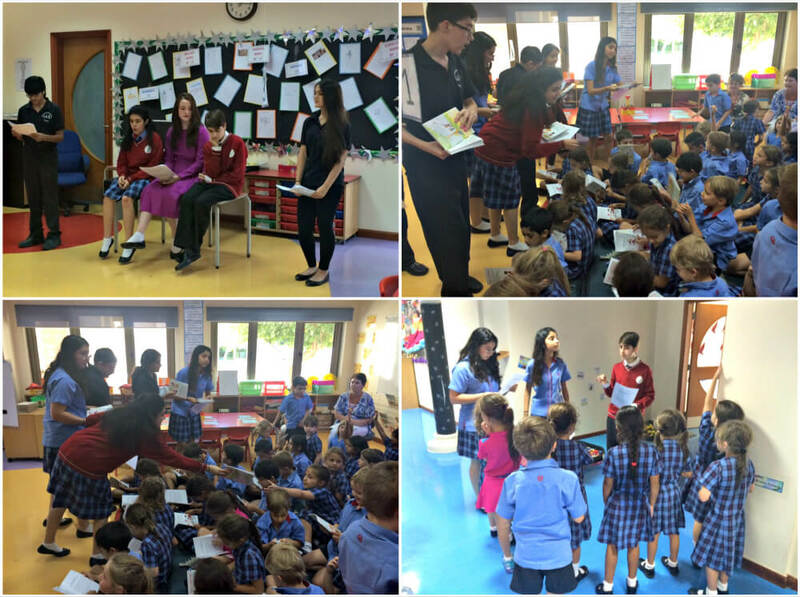 The Year 1 students loved the opportunity to perform some Drama with the Year 9s and they were rewarded for their efforts at the end of the session with a free copy of the book, which was jointly funded by the Senior and Infant schools. The book is available online through Amazon and selected bookshops in Bahrain.